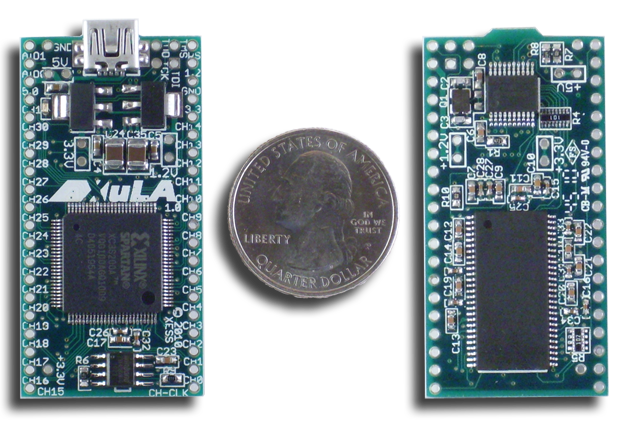 XuLA is a small 2" x 1" board containing a 200 Kgate Spartan 3A FPGA, 64 Mb of SDRAM, a serial configuration flash, and a PIC-based USB interface. 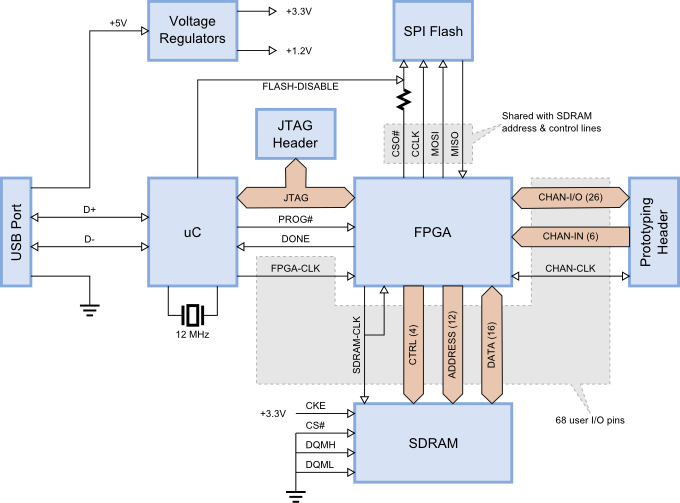 U3 W9812G6JH-6 8M x 16 SDRAM128Mb synchronous DRAM. 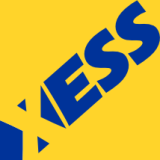 This project is © XESS Corp., and is published under the terms of the Creative Commons Attribution-ShareAlike 3.0 Unported licence.